Description: 688010 Russell Stainless Braided Brake Lines for 05-10 Scion tC. 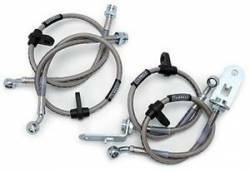 Direct bolt-on Russell Brake Line Kits bring the ultimate in braking performance. They improve your braking performance for competition or every-day driving.